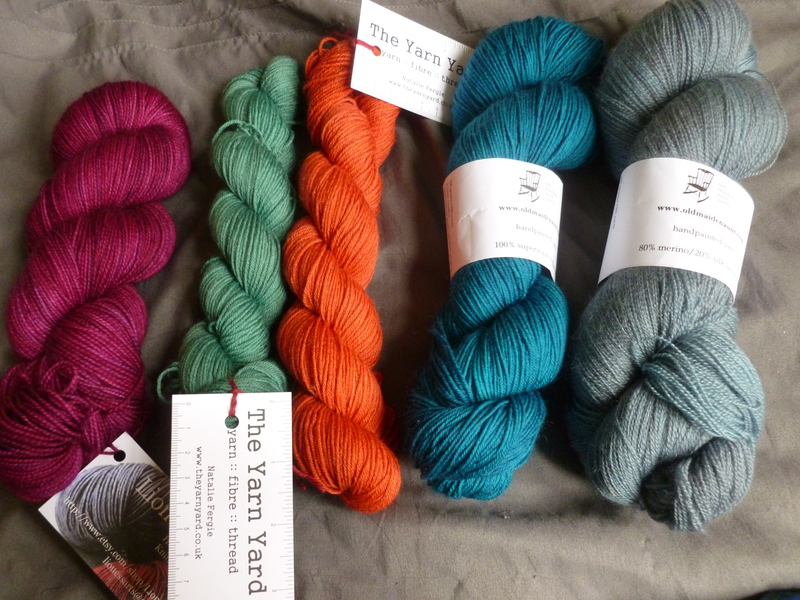 Edinburgh Yarn Festival 2013 – the spoils of war! I’m a bit late blogging about this, but better late than never! On the 16th March 2013, the very first Edinburgh Yarn Festival was held literally just around the corner from my flat (the venue was the Old Drill Hall/Out of the Blue, which technically speaking is in Leith, not Edinburgh, but we shan’t get into that now…). Oh the joys! I have been craving a yarn festival like this in Scotland for so, so long. There was Knit Camp in Stirling a few years back, which I attended, and the market place was great but there were a few problems (ahem, slight understatement) with the organisers and it never happened again. So I was absolutely overjoyed to hear about EYF and I hope it becomes a yearly occurrence. Needless to say, the festival was absolutely mobbed. I think many were taken aback by the sheer size of the crowds, but I was partially expecting it. I believe many showed up, like me, not only to buy beautiful fibre but also to demonstrate the overwhelming demand for such an event in Scotland. I tend to get overwhelmed by large crowds, so I didn’t stay very long and never got a chance to catch up with anyone, but I did manage to fight my way through the scrums and came away with some fantastic fibrey goodness (pictured below). I’m so glad the event was a success, and fingers crossed it happens again next year! This entry was posted in Knitting and tagged edinburgh, edinburgh yarn festival, knitting, leith, yarn. Bookmark the permalink.